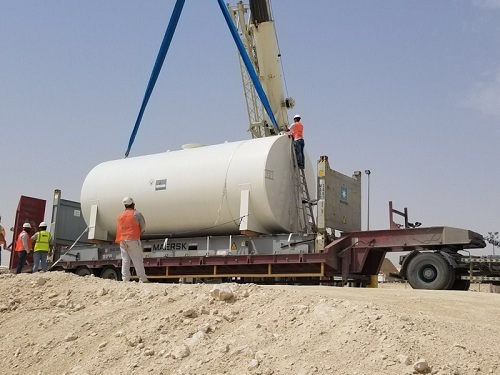 The project consisted of upgrade of Fuel tanks at camp as sahliyah south, Doha Qatar, listed below are the deliverables. 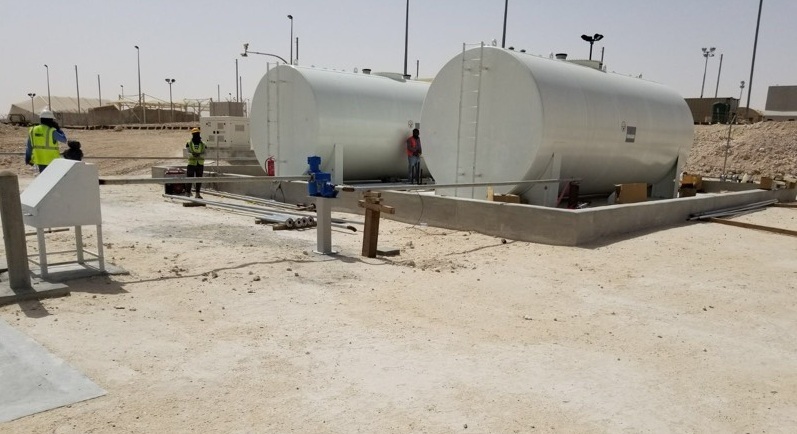 Construction of spillage containment for fuel truck filling area. 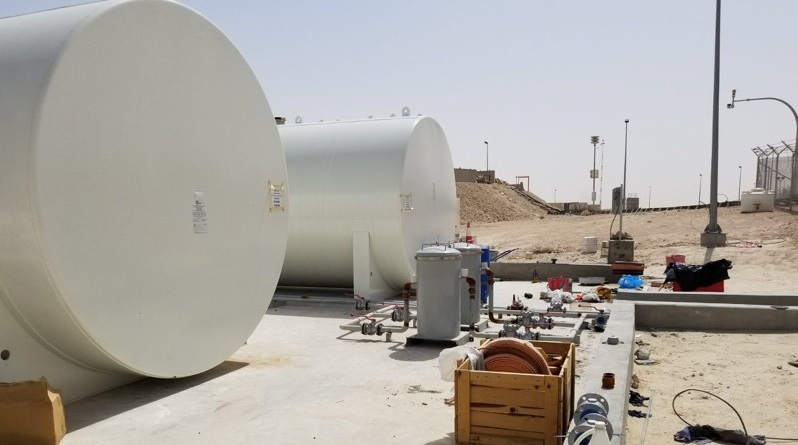 Supply and Installation two (2) each Highland Tank or equal, 15,000 gallons double wall fuel tanks with 2" monitorpipe and ladder as shown on contract drawings. Supply and installation of Fill Stations, fuel piping, supply / transfer pumps, filters and other accessories. 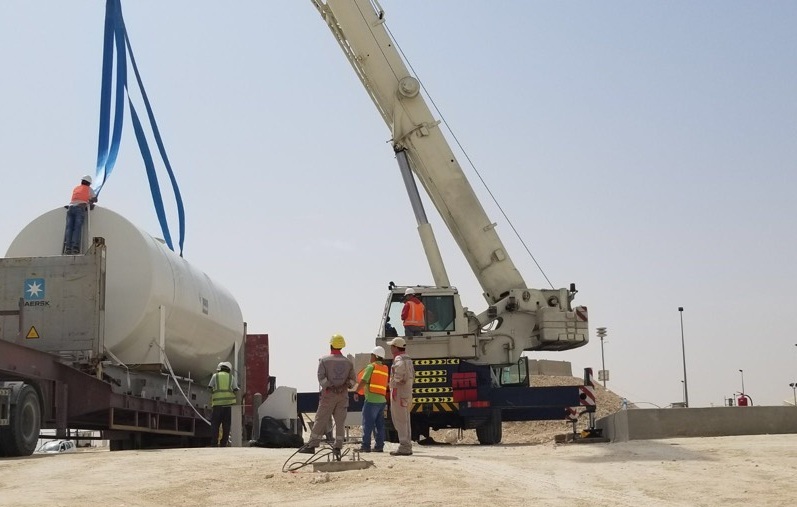 Supply and installation Complete Electrical System including but not limited to 4 x lighting poles, Fuel Tanks grounding and lightning protection system. Supply and installation of Leak Detection and Monitoring System, Fuel Management System, eye wash station. Connecting the new fuel piping to the existing Generators; once the commissioning and approval of the new system has been obtained. Certified Professional Engineers & Workers of multiple trades (Mechanical worker specializing in Fuel Tank Projects.